David Kligerman has served with distinction as the Agency General Council and before that lead counsel for Voice of America and the Office of Cuba Broadcasting and Assistant General Counsel for Fiscal Law, Policy, and Legislation. 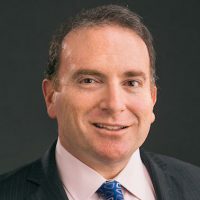 During his tenure, Kligerman has developed a reputation for leveraging legal expertise and acumen, creativity, common-sense, and a strong sense of fairness, to assist his clients and the Agency in addressing some of our most challenging legal issues. For his work, Kligerman has received numerous Superior Honor Awards and Agency-wide recognition. Kligerman came to USAGM from the State Department where he served as an attorney in the office of Legal Adviser and in the European and Eurasian Bureau. Kligerman holds a J.D. from the University of Michigan Law School, where he was a Robert Fiske Fellow; an M.A. in International Relations (Strategic Studies) and Economics from the Johns Hopkins School of Advanced International Studies, where he was a Harold Rosenthal Fellow; and a B.A. with honors in Political Science from Amherst College. As an Anna Sobel Levy Fellow at the Hebrew University in Jerusalem, he undertook post-graduate research in Mideast Affairs and Islamic Studies.